Retro bikes: On yer Chopper! When we were growing up it is true that we did enjoy a lot more freedom than many of today’s children growing up, and we weren’t tied to our video games, computers, tablets or mobile phones. This meant that we spent a lot more time outside with our friends exploring, making mischief and of course biking around. As shown in 1980s blockbuster films such as ‘The Goonies’ and ‘E.T’, kids of the that time relied on their trusty bikes to get around seeking adventure, treasure and more, and it’s true that there was nothing better than getting a Christmas or birthday present of a new bike. Younger siblings (I was one!) may have had to make do with an older sibling’s hand-me-down bike, but the important thing about owning our own bikes was the freedom and independence that they represented. Here are some of the most iconic kids’ bikes from the past! One of the most popular models of bikes that graced our screens and that we all wanted was an American-made bike by the Huffy brand. With a huge range of models from the Dirt Dog to the Dragster to the Aerowind, we wanted nothing more than one of these beauties with a flag attached to the back and a rack above the wheel to cycle your friend without a bike from A to B. Although the company went backrupt in the mid-1990s following its heyday in the 1980s, there is a Huffy brand online shop still if you fancy finally fulfilling some of your childhood dreams with a Huffy bike. Chances are that if you grew up in the UK, then at one point at least during your childhood you had some kind of Raleigh bike. Based in Nottingham, this bike company is actually one of the oldest in the world having been founded way back in 1888. Thanks to hipsters and city cycling the brand remains strong to this day and has created some of the most iconic bicycles of the past 120 years or so. 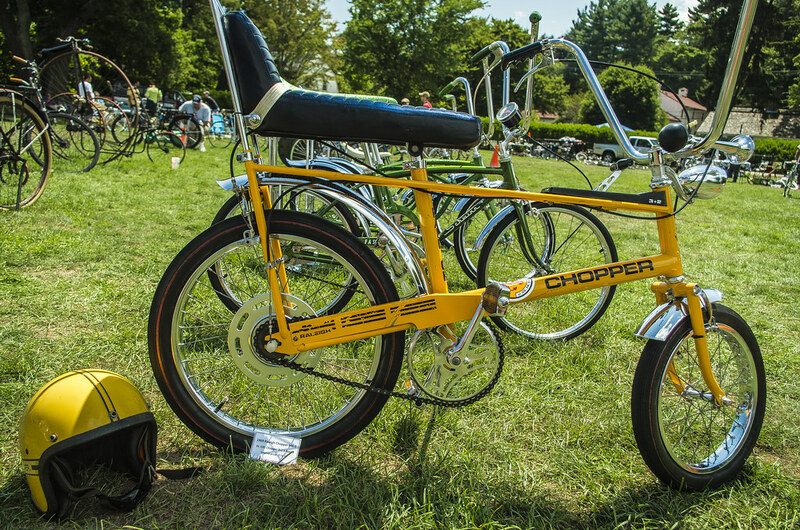 In the late 70s and into the 80s, most kids wanted a Raleigh Chopper which was basically the epitome of cool at the time, with a design that still looks great even today which is one of the reasons that you can still purchase the same design. Raleigh continues to make some of the best kids’ bikes out there today, and it’s always nice to support a British brand. The Original BMX bike was the bike of choice in Steven Spielberg’s iconic film ‘E.T’, and is probably one of the most famous bikes of all in movie history. In addition to playing a lead role in this film, it was also the bike that saw the Goonies go on an epic adventure in their 1985 film, which thoroughly cemented it as a legendary bicycle. Like Raleigh bikes, the BMX brand is still a thriving one today, although it is perhaps better known for its impressive mountain bike range rather than kids’ models these days.